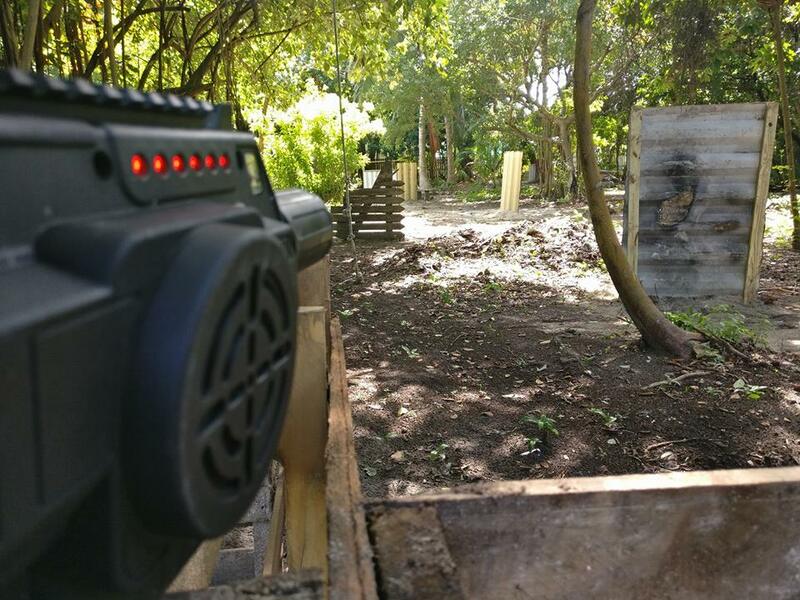 Laser Tag Comes to Belize! 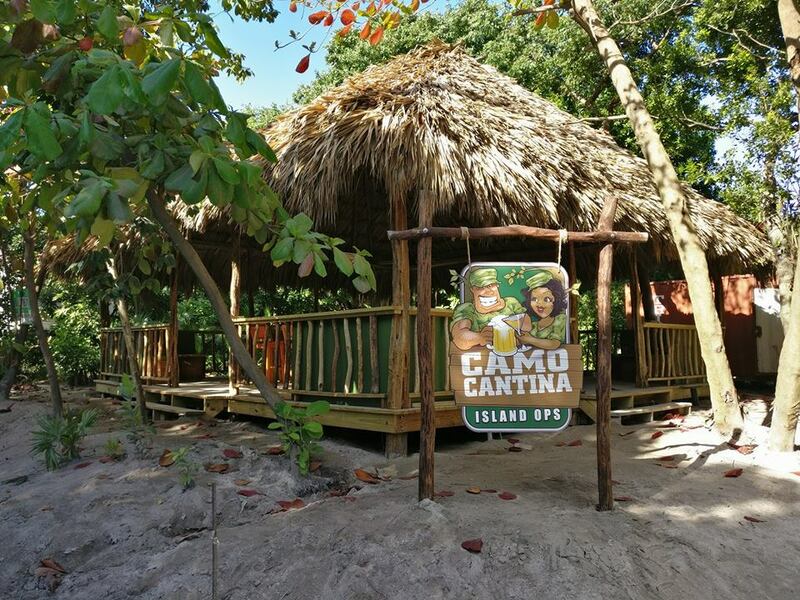 Camo Cantina and Island Ops brings a unique experience to the island. 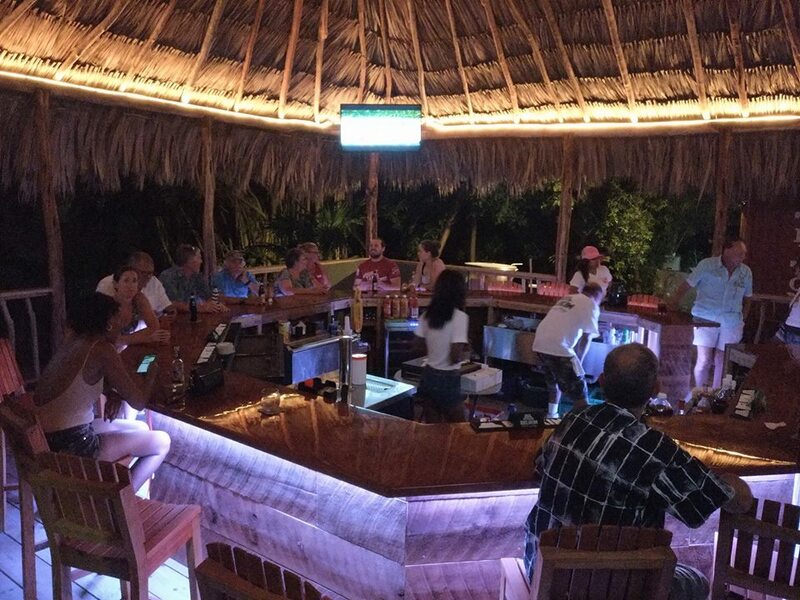 When you arrive at the property, just south of town (opposite Caribbean Villas) you will find a friendly, relaxed bar that has been designed with comfort and fun in mind. Spacious, with comfortable seating you will enjoy great background music as you chat to friends, old and new, or watch the latest sport, with the best view from every seat! It's a familiar bar setting, but with a very differnt kitchen experience, which features a new styles and flavours. 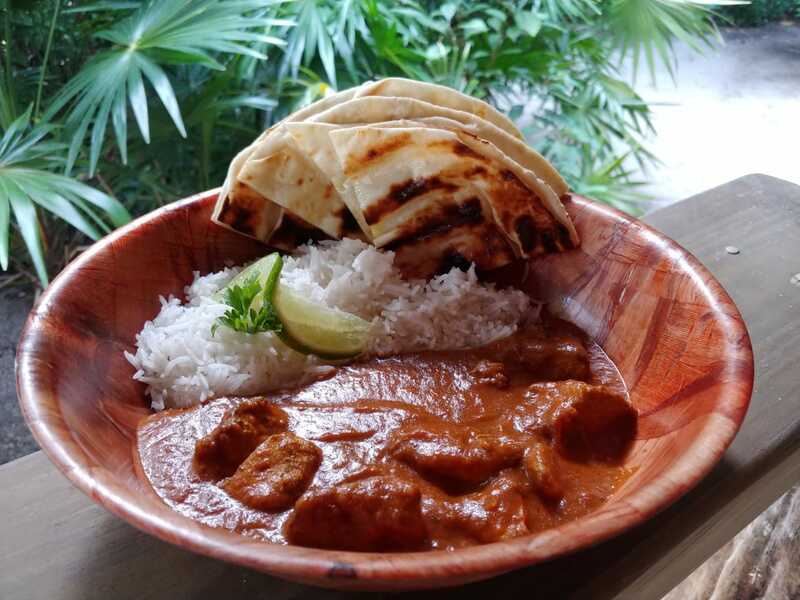 Whether you choose a simple but tasty cheese pocket, a hearty Irish stew of beef and Guinness, a rich Chicken Tikka Masala (my favourite!) or a spicy beef or bean chili, just remember to save room for that Banana Foster yumminess! 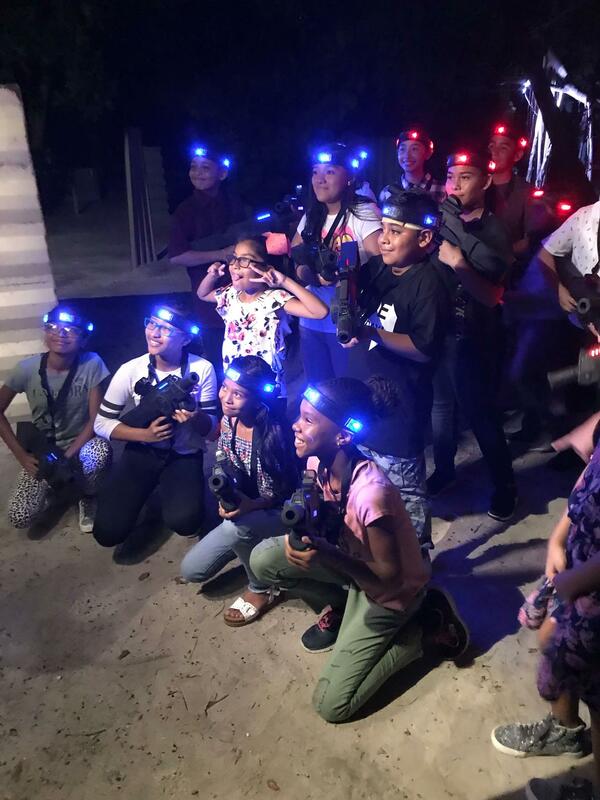 The bar, food and general ambience will invite you in, but it's the fun new lasertag, that happens at the rear of the property, that is the uniqueness of this new experience. The latest in outdoor entertainment - it's perfect for friends and family of all ages - especially those with a competitive streak. If you find it addictive, they offer multiple game passes and with the coupon below you can get an all day pass for either Saturday or Sunday. 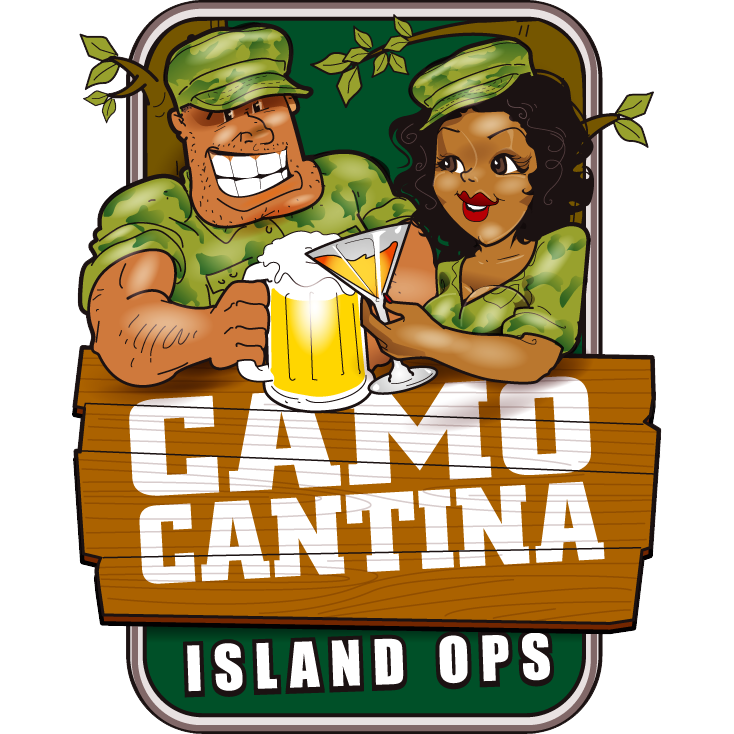 Open every day, this is the newest and most welcome addition to the San Pedro scene, so stop by and check out their unique food, atmosphere and adventures.